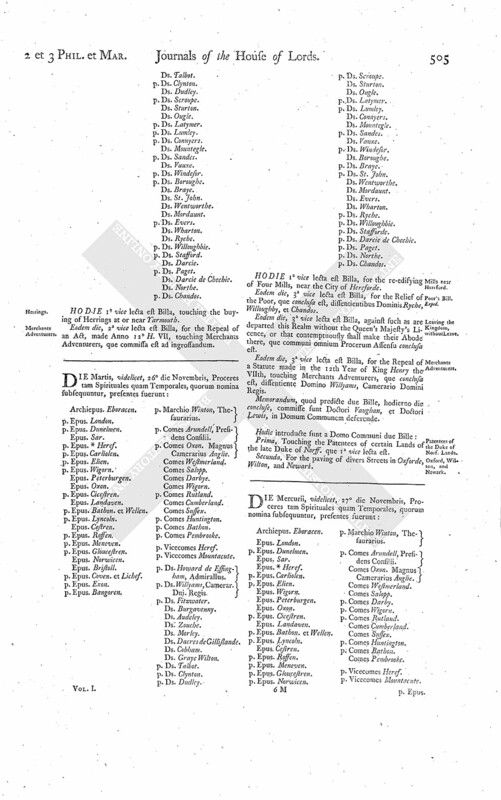 Patentees of the D. of Norfolk's Lands. HODIE 2a vice lecta est Billa, for the reviving of a Statute made Anno 22° Hen. VIII, concerning Powdyke in Marsh-lands, que commissa est ad ingrossandum. 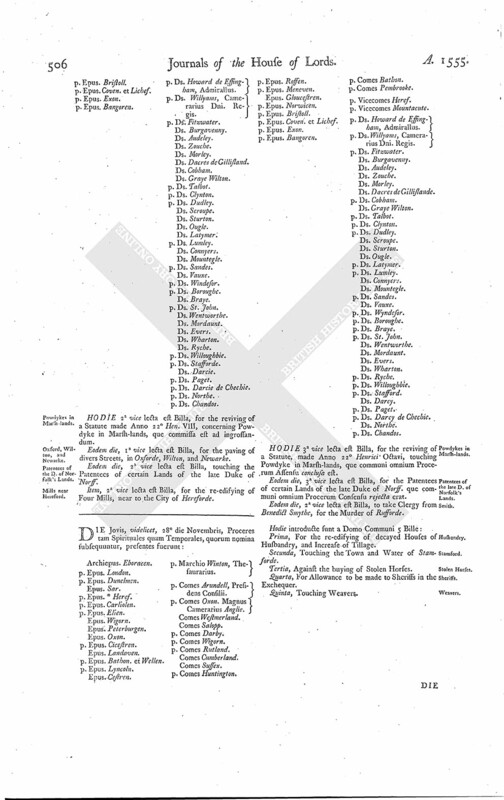 Eodem die, 1a vice lecta est Billa, for the paving of divers Streets, in Oxforde, Wilton, and Newarke. Eodem die, 2a vice lecta est Billa, touching the Patentees of certain Lands of the late Duke of Norff. Item, 2a vice lecta est Billa, for the re-edifying of Four Mills, near to the City of Hereforde.